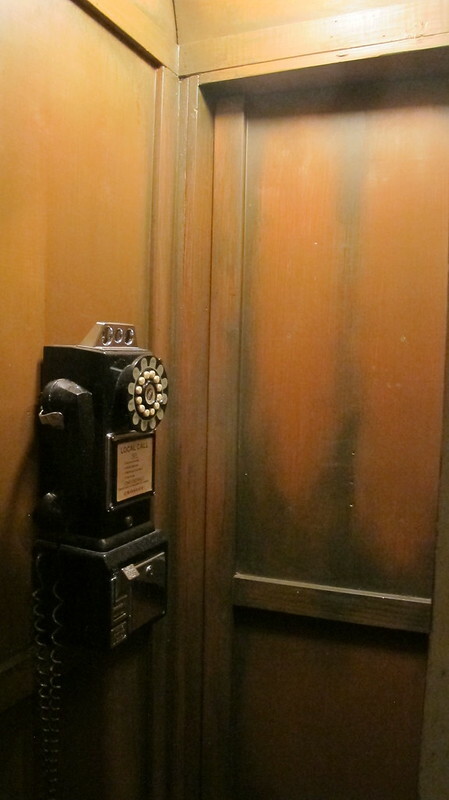 In the hallway between The Hideaway dining room and the kitchen you might notice an old-fashioned telephone booth. Step into this anachronism, push against the wall and you’ll find yourself seemingly transported to another place and time. 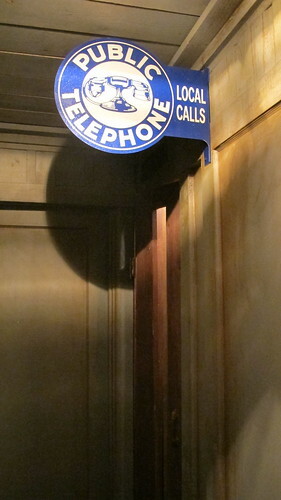 There’s another false wall next to the phone booth that can let more people in, but for me it doesn’t get any better than that phone booth. 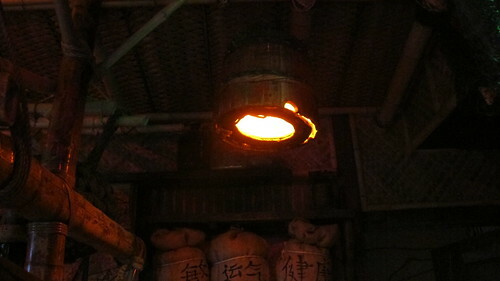 It’s like the tiki equivalent of Harry Potter’s Platform 9 3/4. While the lounge and bar area have more of a sleek, mid-century modern feel, this is where you’ll really get that sense of tiki’s tropical escapism (reminiscent of the original in North Hollywood). 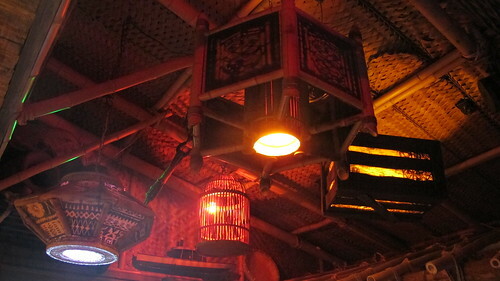 Perching over the half-circle booth is a bamboo overhang supported by carved tiki poles. 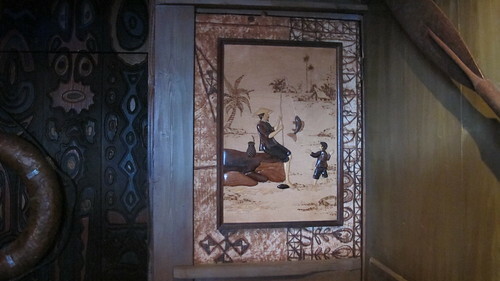 Neou panels cover the ceiling and there’s lauhala matting and tapa cloth on the walls, plus Papua New Guinea-style masks. 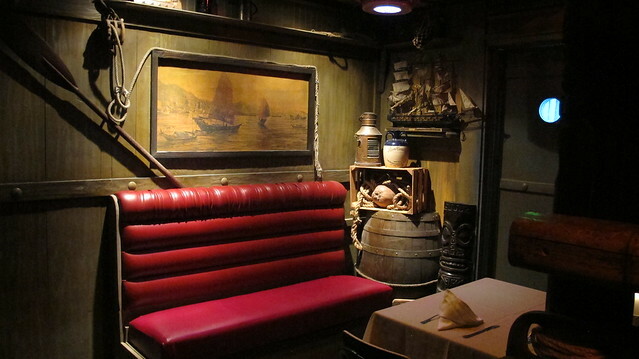 On the opposite wall is a red banquette and lots of nautical touches, including a Chinese sailing painting, rigging and rope, brass anchor lantern and model ship. 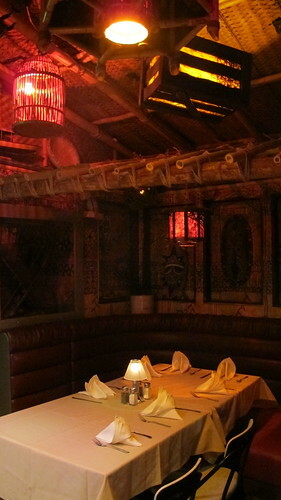 To dine in this “secret” tiki room, you’ll need to call in advance and secure the reservation with a $100 refundable deposit. If this space doesn’t inspire you to head to Palm Springs immediately, I don’t know what will! This awesome Tikichick! Sounds like a must visit for those if us who love all things tiki. Thank you! I LOVE it~ Thanks for the hot tip Tiki Chick!!! My friend who lives in PS just went last Sunday and had a blast! 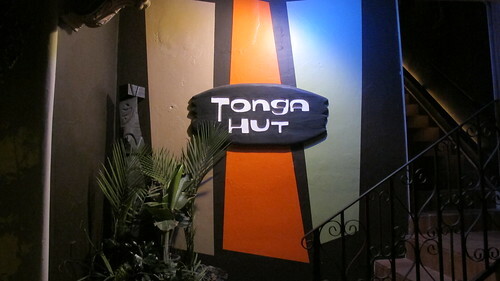 Love the NoHo Tonga Hut of course, but can’t wait to head out there next month and experience the Tiki for myself in my favorite location in the whole world! oh yeahhhhh! I was downright giddy when I walked in there. I bet you’ll have the same reaction!